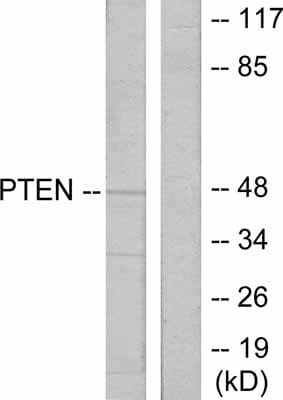 Rabbit polyclonal PTEN antibody. Validated in WB, ELISA, IHC and tested in Mouse, Rat, Human. Cited in 19 publication(s). Independently reviewed in 5 review(s). Publishing research using ab31392? Please let us know so that we can cite the reference in this datasheet. ab31392 has been referenced in 21 publications.